Enterasys X8 Platform X-M8-01 in stock! 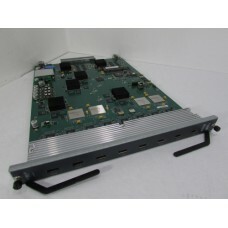 Enterasys X8 Platform X-M8-01 US $9,990.00 used in good working condition with a 90 day warranty. Multiple units available. Enterasys X-M8-01 for Sale at Northwest Remarketing. This entry was posted in Enterasys X-M8-01 and tagged 10GBase-X, 8, Enterasys, Expansion, module, ports., X-M8-01, XFP, XM801 on May 13, 2014 by nwrusa.